Mitsubishi is trying electric vehicles again after taking the i-MiEv out of North America. Mitsubishi Motors is one of several automakers that are producing alternative fuel vehicles and coming out with concepts at least once a year for the past few years. Some enthusiasts are wondering if the sports car brand is ever going to return as that is what many remember Mitsubishi to be. The possibility of that happening seems lower after the debut of the Engelberg Tourer at the 2019 Geneva Motor Show. Even though Mitsubishi may have shied away from sports cars in the past, the automaker surely has the sport look down for its future vehicle concepts. Understandable, as many consumers out there were disgusted with the thought of the Mitsubishi Eclipse car becoming a crossover, and many are liking the Eclipse since its release. The Mitsubishi Eclipse Cross was the newest crossover to join the Mitsubishi Motors family and with it the North American release of the Outlander PHEV. “Mitsubishi’s focus is now SUVs, crossover, four-wheel drive, along with alternative fuel technology. Mitsubishi has moved around different brand positionings, whether it’s been Spacestar style vehicles or sports car derivatives, Evo – it’s not had that clarity of focus,” said Rob Lindley, Managing director of Mitsubishi UK. Back in the summer of 2017, Mitsubishi had focused on hybrid SUVs and alternative fuel, and there was a whole market in the auto industry that still had potential. A few years later, Mitsubishi joined the Renault-Nissan Alliance, and the Alliance 2022 Six-Year Plan went underway. With a significant focus on innovations in autonomous, electrification and connectivity, the alliance has been engrossed investing in startups and developing concepts. There haven’t been many “sporty” vehicles from Mitsubishi as of late. Except for the concept art of the new Lancer Crossover and the e-Evolution concept. However, for the 2019 Geneva International Motor Show, they rolled out the latest plug-in hybrid concept- the Engelberg Tourer. Some would say that the Engelberg is a replacement for the Outlander PHEV. This could be a possibility even though North America saw the Outlander PHEV in late 2017. The Engelberg Tourer is boxy but it’s also stylish, and going forward it will become the highlight of Mitsubishi plug-in hybrid vehicles going forward. The Engelberg Tourer finished feels with its huge wheels, show-car seats, and video mirrors have yet to have an international release yet. After all, Mitsubishi has only released the 2019 Triton/L200 pickup truck overseas. But Mitsubishi has big plans for the Engelberg Tourer concept. The Tourer has the same powertrain of the Outlander PHEV, which includes an electric motor on each axle for an electronic all-wheel-drive system with no mechanical connection between the front and rear axles and a gasoline engine. Although the power output and battery size were not specified, Mitsubishi estimated that the vehicle’s EV range could be as much as 43 miles by European standards, which would be closer to 40 by North American excellence. It would be quite a jump from the current Outlander PHEV as it’s powered by a 12-kilowatt-hour battery and only gets 22 miles on electric only. Mitsubishi also unveiled the Dendo Drive House (DDH) for the Tourer. DDH is a power system that lets consumers power their home with their vehicles, and you can see that Mitsubishi has big plans for consumer lifestyle and future alternative fuel technologies. This could be the beginning of it all if the Tourer gets the green-light. Entering 2019 Mitsubishi Motors North America, Inc. (MMNA), came into the year with strong momentum announcing it was the fastest-growing Asian automotive brand in the United States. Overall, MMNA reported the sales volume of 118,074 vehicles in 2018, up to 13.9 percent over 2017, which was the best annual sales for the brand since 2007. Mitsubishi was the fastest-growing Asian brand in the U.S. for the second year in a row. Two successful crossover vehicle that launched in 2018 helped propel MMNA to its second consecutive year of sales success. After many predictions, the all-new Outlander Plug-In Hybrid Electric Vehicle (PHEV) went on sale in the U.S. in late 2017. 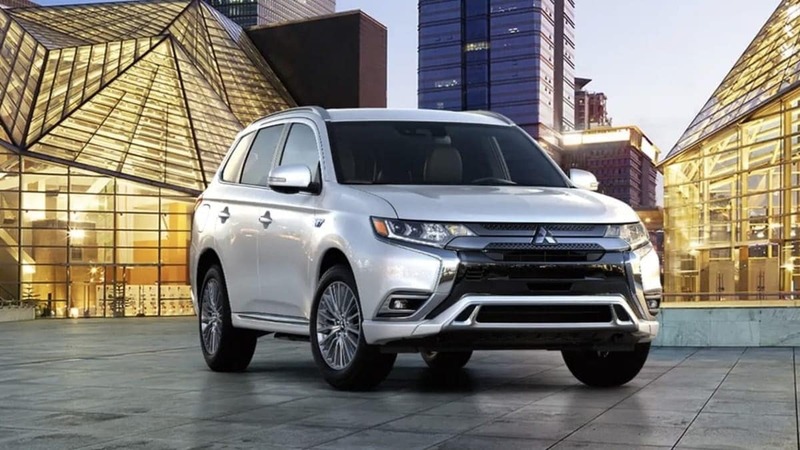 Combining the benefits of SUV abilities, EV efficiencies, and Mitsubishi’s superior Super All-Wheel Control (S-AWC) system, the Outlander PHEV is the world’s best-selling plug-in hybrid SUV. For any of these used vehicles, or for more makes available, visit driverautomart.com or visit 5355 S University Dr. Davie, Florida 33328. It’s open Monday-Friday 9 a.m.-9 p.m., Saturdays 9 a.m.-8 p.m. and on Sundays 10 a.m.-7 p.m.